Francis John Mott was born on April 18th 1901 in Felstead, Essex, the son of a mill owner. His health in childhood was poor and he had little formal schooling; but a precocious intelligence led him to read widely. His first job – giving no hint of his subsequent career – was with the French glass company St. Gobain for whom he worked in the UK and France, becoming fluent in French. In 1933 he married Gwendolen Mayhew who was his support in every way until his death. In the same decade he founded a short-lived publishing firm, 'The Francis Mott Co' . They published a few works on religious and philosophical topics and a couple of his own, including a play The Haunted Woman about Mary Baker Eddy and Christian Science which had the distinction of being banned from the stage by The Lord Chamberlain. Most notably in 1935 they brought out Black Hand Over Europe, by Henri Pozzi a French diplomat, which FJM translated from the French: a modern history of the Balkans illustrating the continuing threat to European peace from the far right Serbian nationalist conspiracy the Black Hand. After the demise of the publishing firm, much time was spent in the USA and Canada where Francis J. Mott found the principal audience for his developing ideas on a universal pattern of creation in the natural world and in humankind including the mind. He lectured, conducted group psychology and individual dream analysis, and published several books. As a platform for supporting and developing his work he founded a group which came to be known as The Society of Life with members principally in North America and the UK who gave intellectual and material support. On the outbreak of World War 2 he joined the Canadian Air Force and served until his discharge as a Flying Officer in 1945. He and Gwendolen returned to the UK with their 4 year old son and established their home in Kent where their daughter was born in 1947. 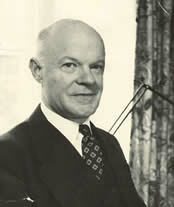 Francis J. Mott visited the USA several times in the 1940s and 50s, but then based himself entirely in the UK working from a soundproofed study which he built at the bottom of the garden. There he wrote all his works published after 1945, and disseminated his discoveries to his followers in a monthly newsletter produced by him on a Gestetner duplicating machine. He was a practical man who found relief from the mental intensity of his work in designing and creating the garden at their home, including building the numerous walls which reflected his bricklaying skills. He also designed and helped to carry out improvements and extensions to the house, becoming at least competent at plumbing and electrics. Although intellectually formidable and not too much given to small talk, Francis J. Mott was an outgoing and friendly man with a ready wit, who would fall into conversation with people from all backgrounds in a way which engaged their interest, and the family had a wide circle of local friends and acquaintances. He continued to be intellectually vigorous until about a year before his death in 1980. Unhappily he suffered in his last few years from trigeminal neuralgia which greatly affected his spirits and probably stood in the way of his plans to take his ideas to a wider public.